Under the patronage of H.E. 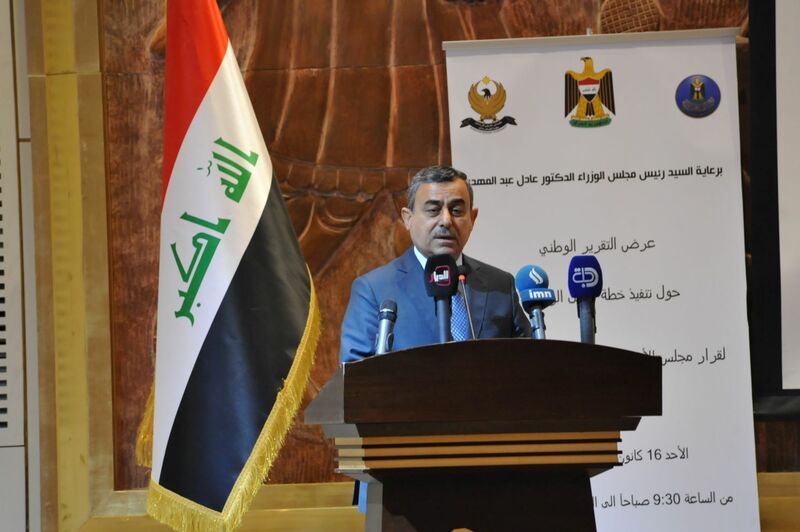 Mr. Abdul Mahdi, Prime Minister of Iraq, a high-level conference "Presentation of the National Report on Implementation of Iraq National Action Plan for United Nations Security Council Resolution 1325 on Women, Peace and Security" took place on 16 December 2018 at Baghdad, Iraq. Click here to view the photo album of United Nations Assistance Mission for Iraq (UNAMI). EuroMed Feminist Initiative is proud and honoured to have supported this conference and report, and the whole process since 2012. 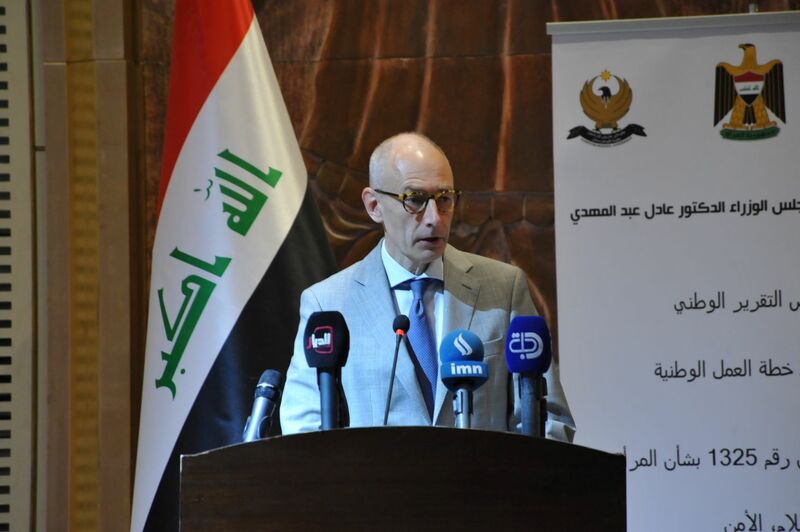 EFI expresses its strong solidarity with all the efforts of the women´s movement in Iraq and it commends the coordinated work of the Cross Sector Task Force (CSTF), its Secretariat, its Coordinator as well as the committed leadership of this powerful National Team achievement! 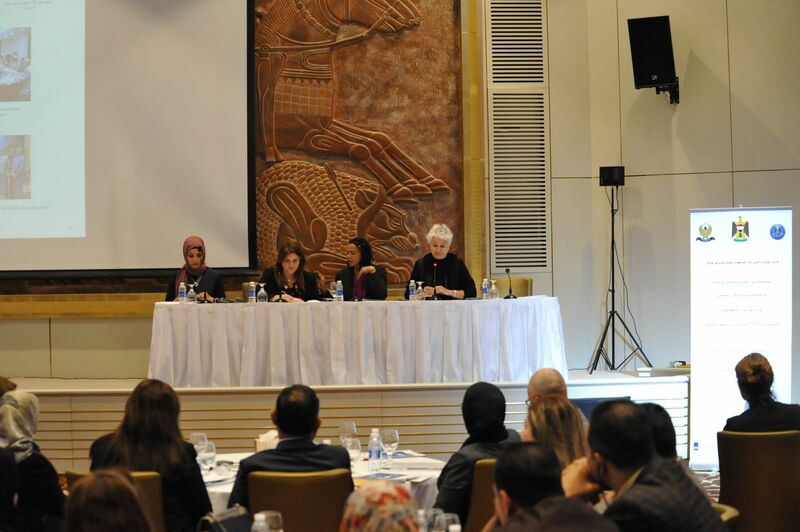 We shall not stop here: with the support of the European Union Regional Trust Fund in Response to the Syrian Crisis, the EU Madad Fund, EuroMed Feminist Initiative will continue investing in the Cross Sector Task Force (CSTF) and the development of Iraq Second National Plan on UNSCR 1325. 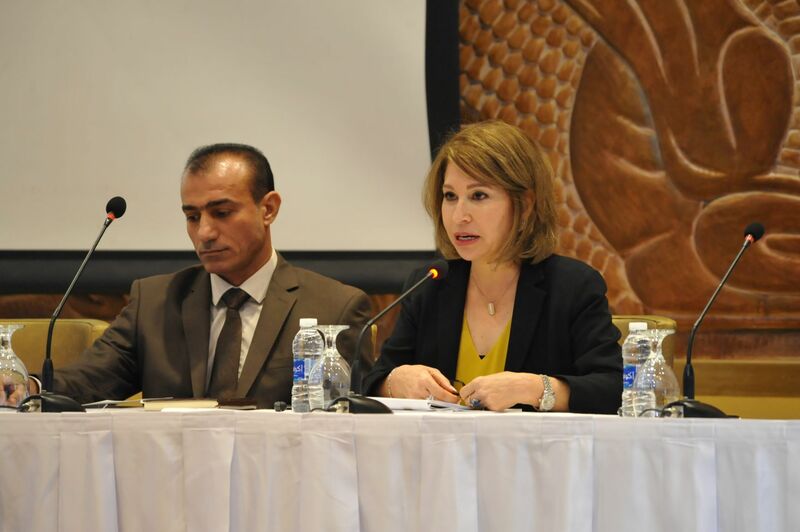 The report on the implementation of Iraq NAP on UNSCR 1325 (2014-2018) was presented by Ms. Suzan Aref, Coordinator of CSTF and Mr. Qasim Alzamili, Head of the Secretariat of CSTF. Ms. Suzan Aref presented the challenges, conclusions, lessons learned and recommendations for the second NAP (2019-2021) and added that “The development & implementation of the NAP on UNSCR1325 has been an exemplary collective process of work & a unique learning experience, as Iraq is the first country in MENA region to have developed a NAP on UNSCR1325"
Mr. Qasim Zamili presented the three pillars of the NAP; the first pillar emphasizes the participation of women in decision-making , in order to contribute to inclusive peace building and maintaining security inclusive of Women Safety, the second pillar expresses the governmental intent to guarantee the minimum protection and security for women to live a free and dignified life and the third pillar has an overall objective of integrating UNSCR 1325 in all national strategies and development plans. The Cross Sector Task Force has been established to develop the first National Action Plan (2014-2018) and has been responsible for its implementation and reporting. The Task Force encompasses relevant Ministries and institutions: 15 in Federal Iraq and 8 in Kurdistan Regional Government in Erbil. The civil society is represented by two large networks: Alliance 1325 and Network 1325. EuroMed Feminist Initiative IFE-EFI has supported the work of the Cross-Sector Task Force since 2012. Furthermore, it supported the CSTF in reporting on the implementation of NAP 1325.